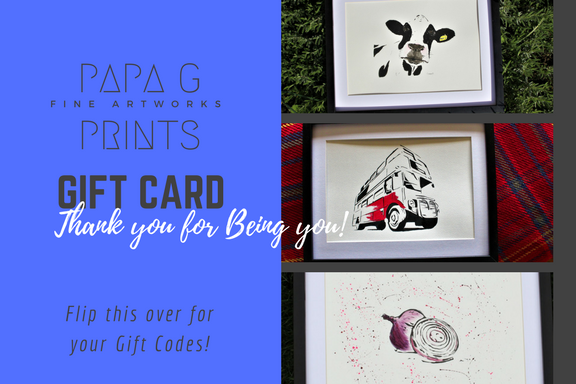 Papa G Prints' Gift Cards Now Available! With the festive season fast approaching, Papa G is happy to announce the arrival of our fab Gift Cards. Buy a friend or a loved-one one of the Papa G' Prints - not only will they recieve their very own Papa G artwork but they will also get an original Papa G crafted greeting card with a message of your choice! Head to the Papa G website for more details!